Katie Parks has been on her own since the age of fifteen. All she’s ever wanted is a place to call her own—a life that iswholly hers that no one can take away. She thought she finally had it, but with the strike of a single match, everything she worked so hard for is reduced to a pile of smoking ash. And she almost is too. 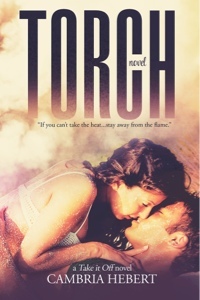 As the danger heats up, sparks fly and the only thing Katieknows for sure is that her whole life is about to go up in flames. 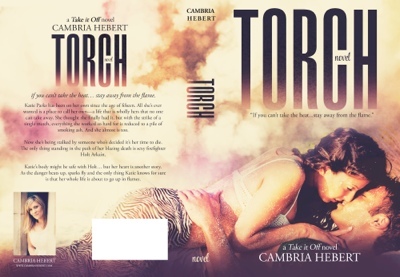 Cambria Hebert is the author of the young adult paranormalHeven and Hell series, the new adult Death Escorts series, and the new adult Take it Off series. She loves a caramel latte, hates math and is afraid of chickens (yes, chickens). She went to college for a bachelor’s degree, couldn’t pick a major, and ended up with a degree in cosmetology. So rest assured her characters will always have good hair. She currently lives in North Carolina with her husband and children (both human and furry) where she is plotting her next book. 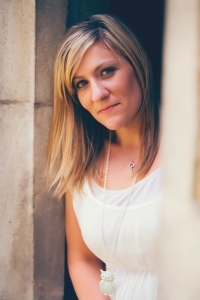 You can find out more about Cambria and her work by visiting http://www.cambriahebert.com.